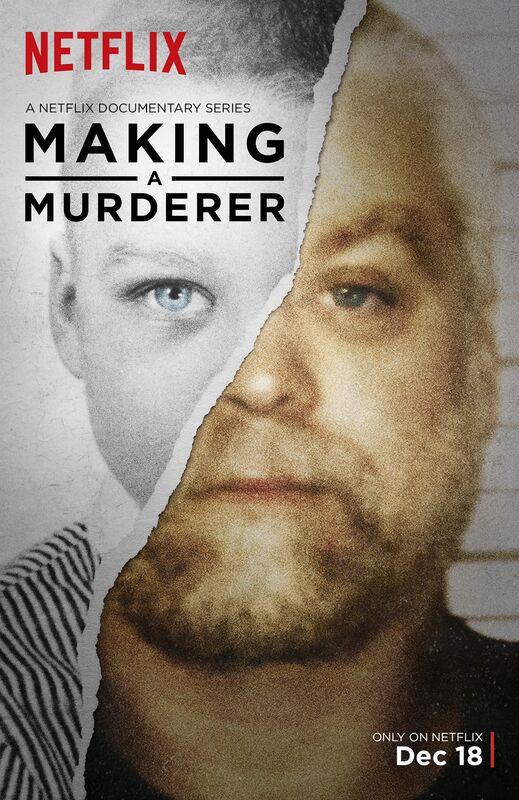 Netflix Readying DocuSeries ‘Making A Murderer’ For Release!!! If there’s one thing I love when it comes to movies and TV, it’s the stories about serial killers. I’m not a (total) freak, I just have a deep fascination with the topic. I’ve read every true crime novel I could get my hands on, granted, one in particular made me sleep with my Louisville Slugger really close at hand, and I’ve argued the logistics of popular murderers (mainly Charles Manson) with friends who grew up during that era and I’m good at proving them wrong. So when I read that Netflix is picking up a documentary crime series about a particular killer, I met this news with higher-than-average excitement. The streamer is always looking for more original programming and have just picked up a crime series that will make their original documentary offerings a big meatier. The series added to the roster is ‘Making a Murderer‘, it covers the 30-year saga of one man’s experience with the American criminal justice system. The docuseries consists of 10-parts and will debut on December 18, 2015. It’s directed by Laura Ricciardi and Moira Demos who spent 10 years of their lives absorbing the story of Steven Avery. Avery’s case is one that prompted legislation reform within the criminal justice world. Avery was convicted then later exonerated of a brutal assault, he filed a lawsuit alleging corruption in local law enforcement only to find himself a suspect in a grisly new crime. Netflix’s VP of original documentary programming agrees that the story sounds like it’s totally fiction, and the filmmakers agree it sounds completely made up, but confirm they were there and that’s the only reason they believe it. Netflix gives Ricciardi and Demos a way to tell this story that wouldn’t be available anywhere else, and a 10-part story will tell the story in a way that makes you feel as though you’re there. If you plan to be at the DOC NYC film festival this Friday you can beat the masses and view the first two episodes of ‘Making A Murderer‘. Who’s Ready For More of ‘Making A Murderer’? Rob Zombie and Bret Easton Ellis Teaming up for Manson Series!!! This entry was posted on Monday, November 9th, 2015 at 4:32 pm	and is filed under News, Television. You can follow any responses to this entry through the RSS 2.0 feed. You can skip to the end and leave a response. Pinging is currently not allowed. « George Romero Is Coming Back To TV With ‘Empire Of The Dead’!! !